The lines were long for the Movie/Cyclorama program on the Gettysburg Visitor Center Grand Opening Weekend. This view was taken from the southeast facing northwest at approximately 3:00 PM on Saturday, September 27, 2008. The film and Cyclorama combo have now officially been cut to $7.50 instead of the $12.00 as earlier planned. 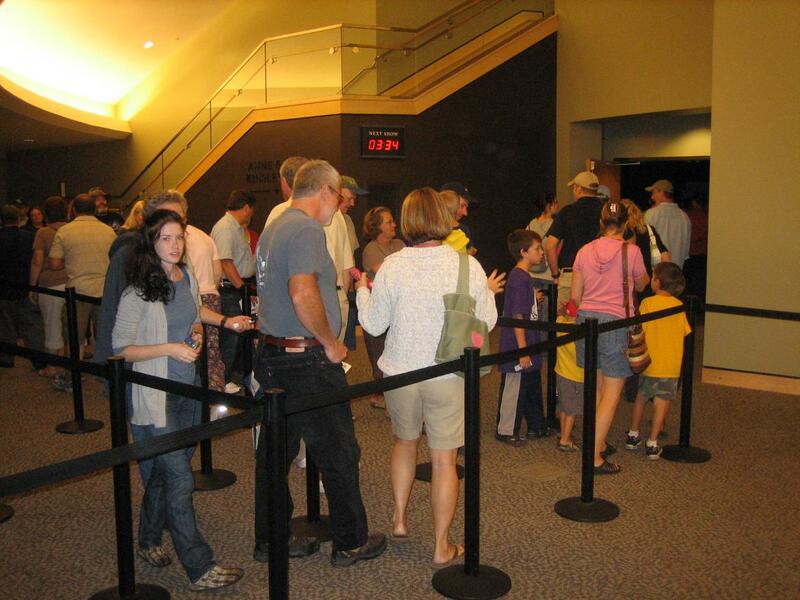 The museum is still free, so on the Grand Opening Weekend of the Gettysburg National Military Park Visitor Center, the Movie/Cyclorama Presentation was packed. Why can’t this be the status quo? Why not try charging this amount (or lower), and keep the museum free? 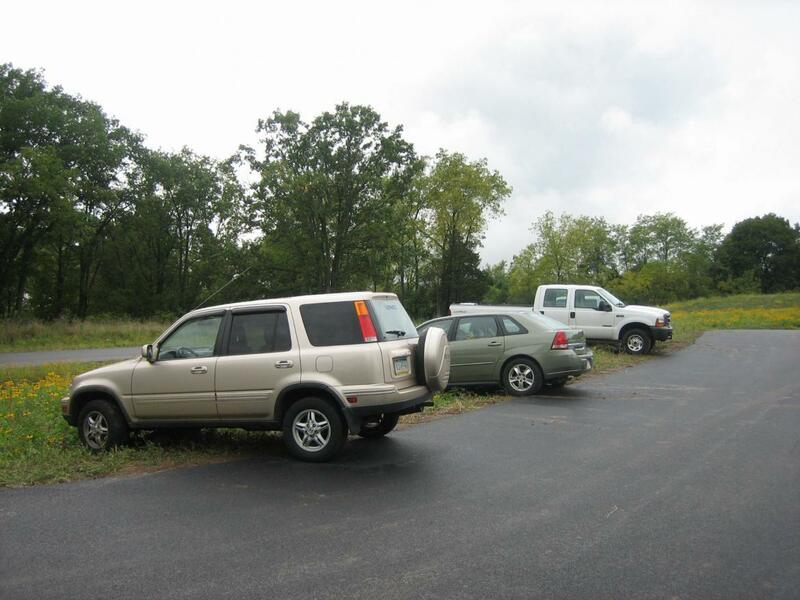 See our Grand Opening Posts for September 25, 2008 and September 26, 2008. The $7.50 price for the Film/Cyclorama combination probably contributed greatly to the number of individuals viewing the Cyclorama. 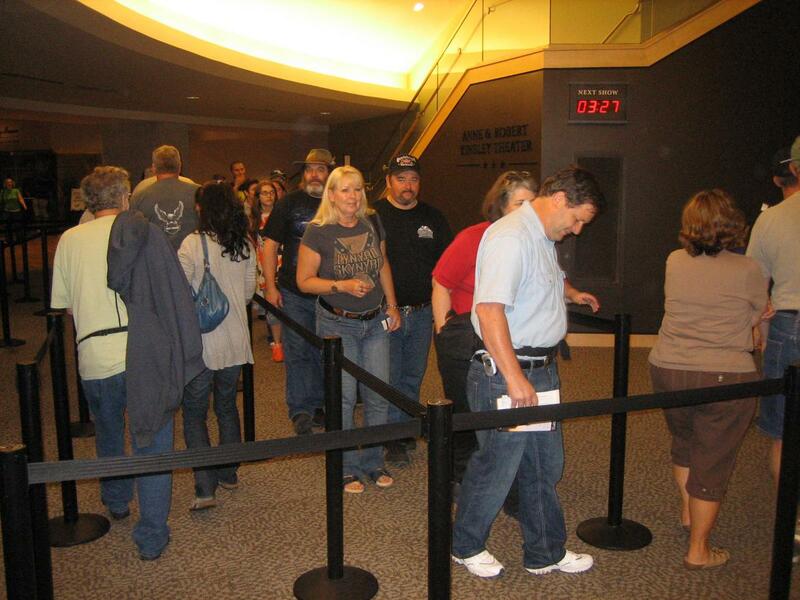 While approximately 20 comp tickets were saved each show for “VIPs,” the afternoon Cyclorama shows were sold out. This view was taken from the east facing west at approximately 3:00 PM on Saturday, September 27, 2008. 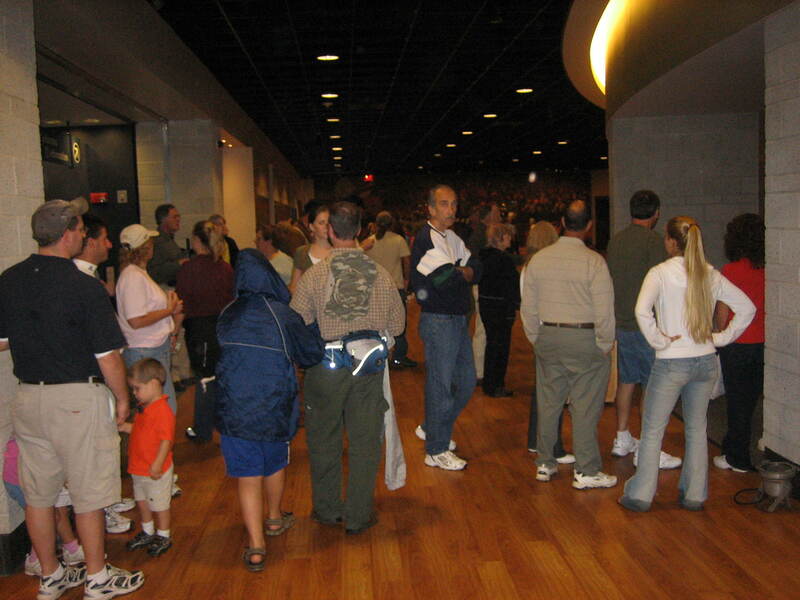 The museum for which donors contributed millions of dollars in order to keep free for American citizens was also crowded. 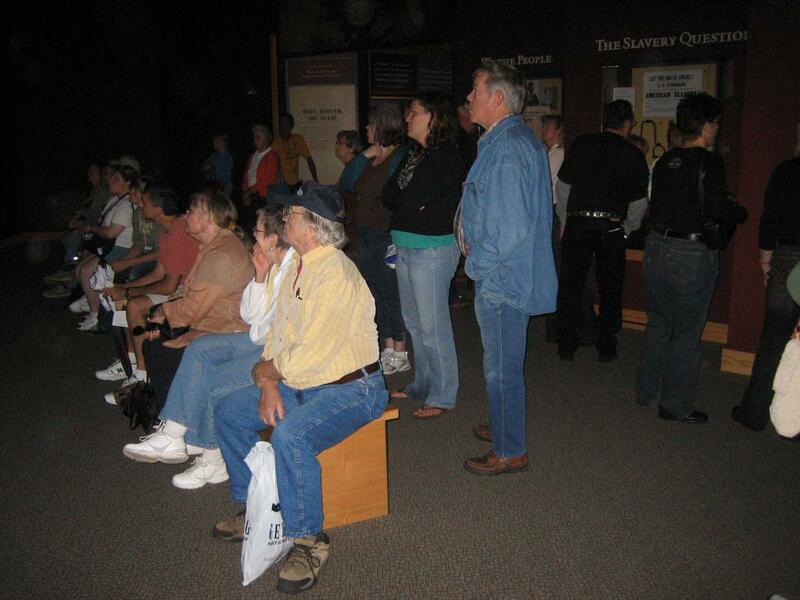 Here the audience is learning about the causes of the Civil War. This view was taken from the east facing west at approximately 3:00 PM on Saturday, September 27, 2008. 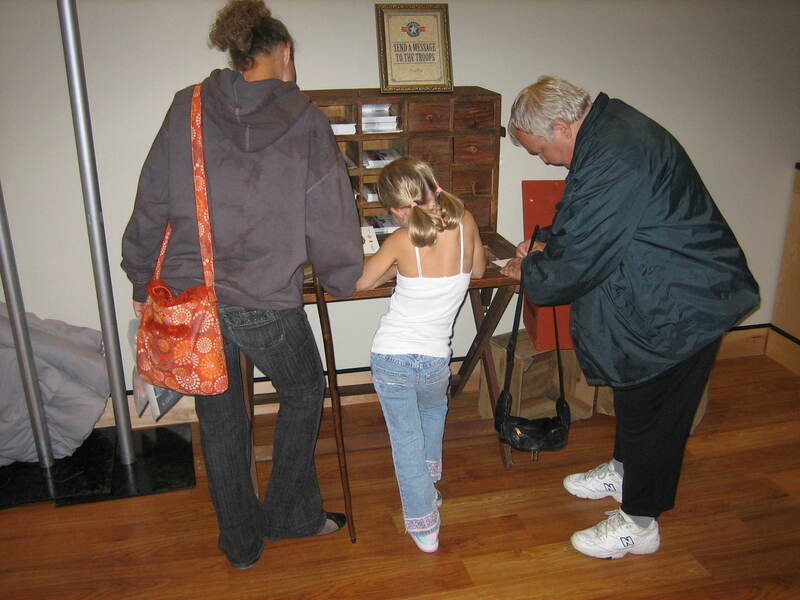 In the lobby, visitors sign cards to send to United States military personnel overseas. This view was taken from the west facing east at approximately 3:00 PM on Saturday, September 27, 2008. The rest of the Visitor Center was also crowded. This view was taken from the east facing west at approximately 3:00 PM on Saturday, September 27, 2008. 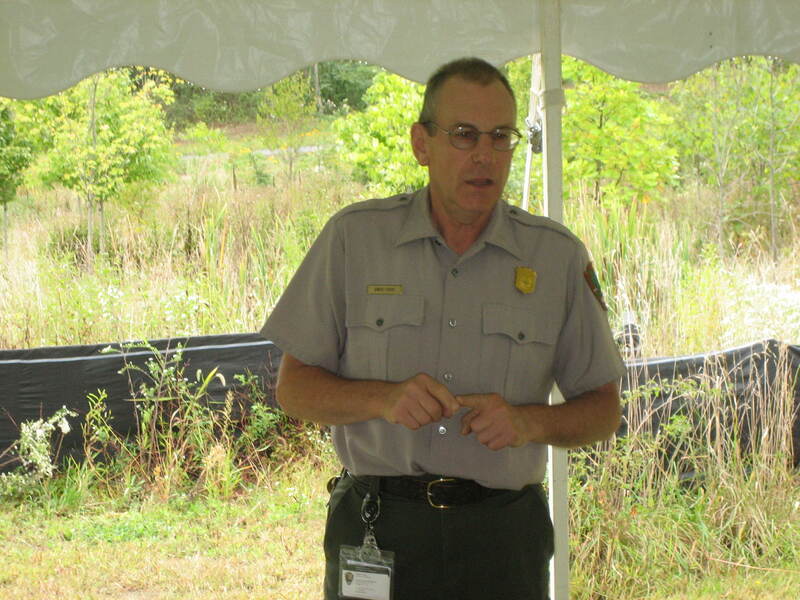 The National Park Service Historians presented programs outside in the tents west of the Visitor Center throughout the day. 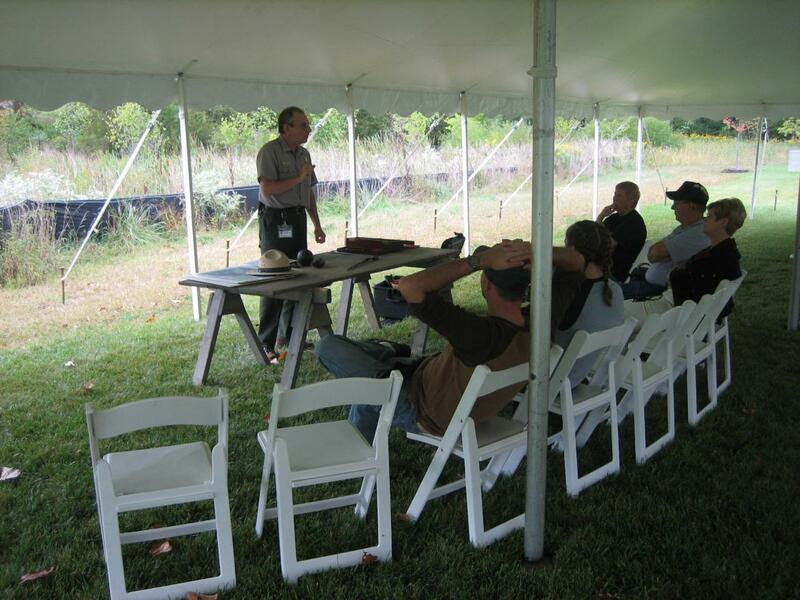 Here Greg Coco informs visitors about Civil War Medicine. 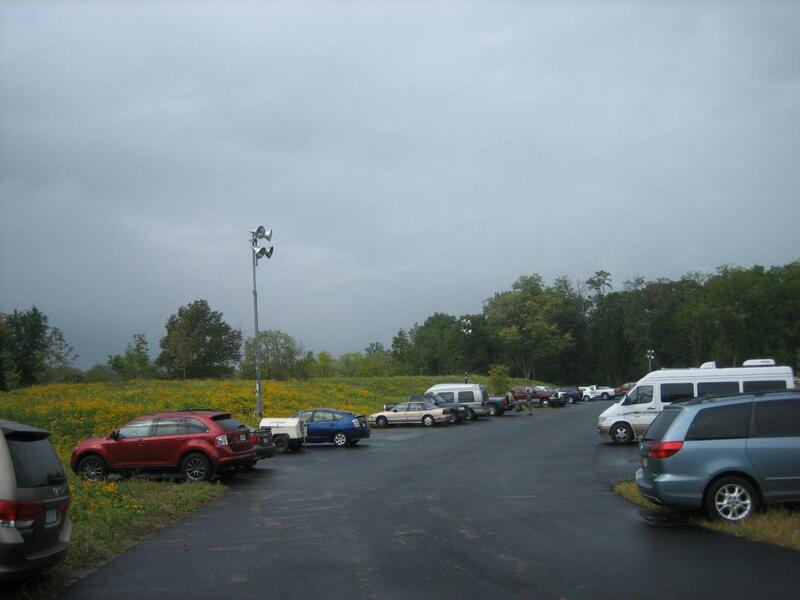 This view was taken from the southeast facing northwest at approximately 3:00 PM on Saturday, September 27, 2008. Greg Coco’s A Strange and Blighted Land, Gettysburg: Aftermath of a Battle, and A Vast Sea of Misery have been popular books on the Gettysburg landscape, and the care of the wounded and dying. This view was taken from the east facing west at approximately 3:00 PM on Saturday, September 27, 2008. 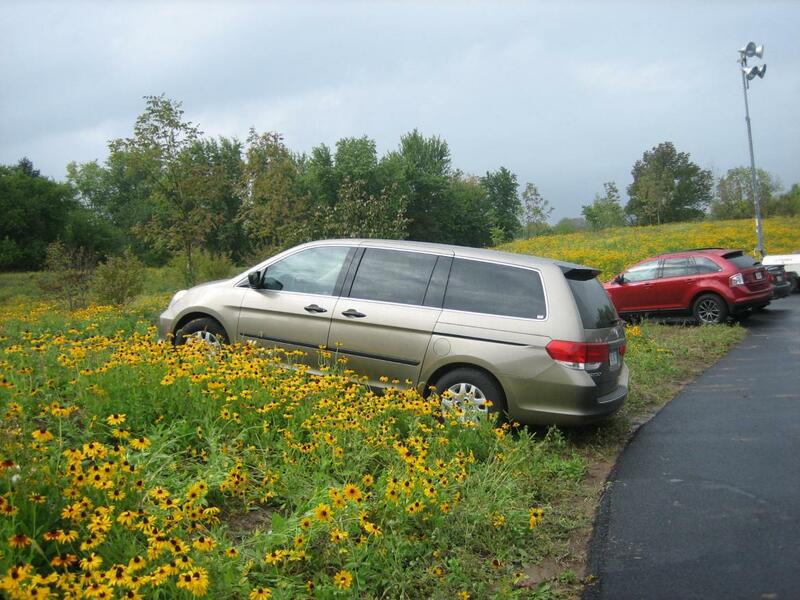 The parking lots were crowded, and some visitors decided to make their own parking spaces in the Blackeyed Susans and the mud. This view was taken from the east facing west at approximately 5:00 PM on Saturday, September 25, 2008. We especially enjoyed this parking job. This view was taken from the southeast facing northwest at approximately 3:00 PM on Saturday, September 27, 2008. Lights were installed in the upper section of Lot #3 for the “Party Like its 1863” event tonight. This view was taken from the southeast facing northwest at approximately 3:00 PM on Saturday, September 27, 2008.